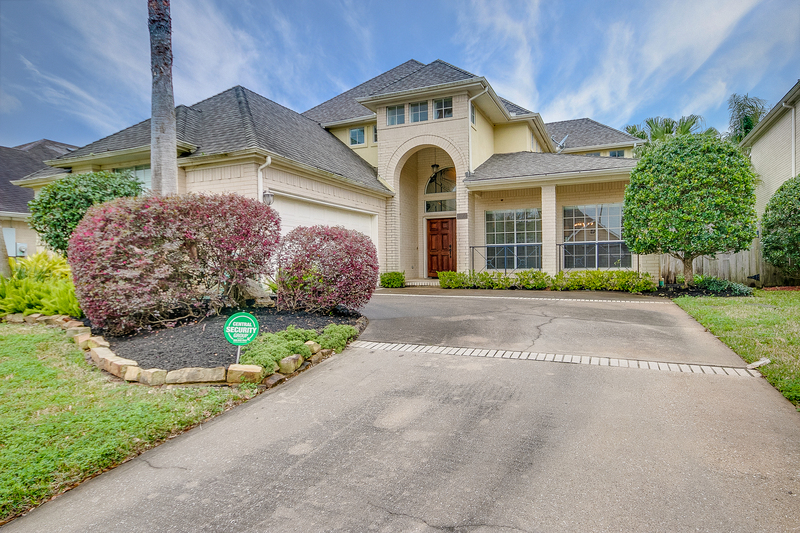 Welcome to 205 Lago vista, an attractive home in a waterfront community in a highly rated school district. This home has four bedrooms and three and one-half bathrooms in approximately 3,093 square feet. Gleaming hardwoods, an absolutely gorgeous kitchen, a cool master bath with vessel sinks and whirlpool tub, double sided fireplace, and a great back patio with sparkling pool are just some of the features which will make you a proud owner. The large master suite is downstairs and enjoys its own access to the pool area, and the other bedrooms and the game room (or possible 5th bedroom) are upstairs. Priced far below the March 2018 appraisal of $415,000 so that buyers can make desired updates and repairs.